Visit the cat market for comfortable, low-stress cat grooming in Toronto.Your kitty will look and feel great! Why not bring your dog in at the same time and get both pets tidied up! Cats spend a lot of time grooming themselves – and rightly so, because there is a lot that needs grooming and all they have their tongue! Just like you need the occasional trip to the spa or salon, so does your cat. We offer a full bevy of grooming services to give your cat a break. If your cat needs it we also offer flea treatments. You can also drop in anytime for a quick nail clipping 7 days per week – it only takes a few minutes to do. Or feel free to give us a call to book an appointment for the nail clips as well. Our wonderful cat groomers have been with us for several years and love to spend time with our feline clients. 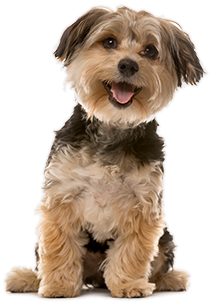 They pride themselves on helping their animal clients maintain a relaxed and positive feeling while under their care. They can do a traditional lion cut or a full de-shed and get out all the small mats your cat may have. Do You Really Need A Professional Groomer? Our groomers have performed services for hundreds of cats. Certainly things like tangled fur or even thick mats can be handled at home, but this runs the risk of causing injury or distress to your cat. Regular grooming can be performed at home using your cats preferred brush, but every once in a while it’s good to turn to a professional for a more thorough grooming session. We will provide your cat with a safe and comfortable place for them to wait until you come to pick them up. Our groomers work in a 700 square foot gated and secure grooming facility where we can keep your cat and carrier until you can pick her up. If you’re interested in what we have to offer or would like to book a session, contact us today to book your cat pampering.